As we all scramble to assemble our lineups between now and Thursday, only to repeat the process between then and Monday, it's important to consider which players will and will not be available for week 1 due to injury. Certain teams have already begun to prepare as if some of their key playmakers won't be available, so fantasy owners must start planning and plotting their lineups with the first weekend of football set to kick off shortly. - In Arizona, WR Michael Floyd remains a question mark for the Cardinals' season opener against the Saints on Sunday due to multiple dislocated fingers which he sustained in early August. Arizona has been hoping to have the 25-year-old available for week 1, but as of last weekend, his status remains "up in the air," per team sources. - In Atlanta, both Devonta Freeman and Roddy White are on track to play in week 1 against the Eagles on Monday night. There is more of a question in regards to Freeman, who has been bothered by a hamstring issue, though the second-year man out of Florida State said over the weekend that his soft-tissue ailment is about 90 percent healed. White underwent elbow surgery last month, but was able to practice yesterday, and is firmly on track to be available week 1. The fact that the dirty birds don't kick off until Monday evening bodes well for both players being cleared to play, though owners should have contingency plans in place just in case the team decides to withhold them from action. Freeman looks to be heading for a timeshare with Tevin Coleman in the Falcons' backfield, so he may not be the best option for week 1, regardless of his health status. - LeSean McCoy remains questionable for week 1 due to the hamstring issue which has plagued him throughout preseason, and the Bills would certainly love to have their prized offseason acquisition available against the Colts on Sunday. However, McCoy is trending in the right direction, having taken part in individual drills during practice dating back to last week. He has still yet to participate in team drills, however, so he still has some hurdles to clear before Buffalo makes a final decision on his availability for Sunday's game. - If any player's week 1 status is truly a mystery as we head into the meat of game week, it is Bears' wideout Alshon Jeffery, who has been battling a calf problem. Chicago has made his status even more muddled as they have prohibited the 25-year-old from speaking to reporters ahead of their Sunday matchup with the Packers. Jeffery did not play in any of the Bears' 4 preseason games due to the injury, and as of Monday he was still not practicing. Keep an eye on Jeffery's status for week 1; if he can not play, the Bears will likely turn to the likes of Marquess Wilson and Eddie Royal, who have both shaken off minor injuries and returned to practice on Monday. Chicago's wideout corps has taken a hit as rookie Kevin White is sidelined for the forseeable future on the PUP list. They also dealt Brandon Marshall to the Jets earlier in the offseason, so without Jeffery, Jay Cutler's playmaking options on the perimeter would be very scarce. - Broncos' WR Emmanuel Sanders is fully expected to be available for week 1 after overcoming a recent hamstring issue. Furthermore, Sanders is expected to provide owners a potential boost as Denver is expected to use him as their primary punt returner. He has been practicing at full-speed and has looked good in 7-on-7 workouts, so any appearance he might make on the week 1 injury report will likely only be for procedural reasons. Fire him up for this weekend's game against Baltimore. His numbers from last season may take a slight hit, but he is still a solid WR2 play in Denver's offense. - Colts' wideout T.Y. Hilton should be ready to rock and roll against the Bills on Sunday. He has been in the concussion protocol, but the team believes he will be available for week 1. Hilton has Donte Moncrief entering his second season, and the added presence of Andre Johnson to help keep defenses honest. Andrew Luck's favorite weapon should be a steady week-to-week option. - The Jaguars are set to be without tight end Julius Thomas for at least the first three weeks of the season, so owners can definitely plan to keep him benched for week 1. Thomas underwent hand surgery last week, so the Jags will roll with Marcedes Lewis and Clay Harbor in his absence. Harbor will likely see more of the targets while Thomas is sidelined, with Lewis operating in more of an in-line, blocking role. - C.J. Spiller is on track to play in week 1 as he continues to trend towards full health following a minor knee procedure last month. The Saints are one of the most coy teams in the leagues in regards to delving out information as it pertains to injuries, so don't expect to hear too much noise as far as Spiller's knee is concerned. However, he should be good to go for week 1, though owners, particularly in PPR formats, will want to monitor the team's injury reports, the first of which will be published Wednesday. 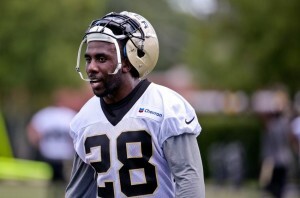 Mark Ingram would see a boost in his already healthy workload should Spiller be ruled out. C.J. Spiller is tentatively expected to be ready for week 1 against Arizona. - The Giants have been preparing as if WR Victor Cruz won't be available for weeks now, though the team has yet to rule out the 28-year-old, who is aiming to return from the gruesome knee injury which cut his 2014 season short. Additionally, Cruz has been dealing with a calf injury, and was not in pads at Monday's practice. The Giants play the Cowboys on Sunday night, so owners will likely need to begin considering other options as his status seems to be trending towards "doubtful" at this point, unless they want to leave it late. Given the nature of Cruz's recent injury issues, the team could choose to make a decision on his week 1 status before gameday, so owners should keep an eye on the injury report throughout the week. "When he practices, I'll let you know," coach Tom Coughlin gracefully told reporters on Monday. Odell Beckham Jr. and Rueben Randle are both good to go, the latter having battled tendinitis in his knees throughout camp. - Stevan Ridley was placed on the PUP list by the Jets over the weekend, ruling him out of the team's first several games. Ridley believes his knee is fine, but the Jets would like him to continue to rehab for a few more weeks as they lean on Chris Ivory, Bilal Powell, and Zac Stacy to carry the mail. New York is likely to lean heavily on the run once again, so Ridley could make for a nice grab-and-stash player in most leagues, especially for owners who have a spot or two to play with on their rosters. 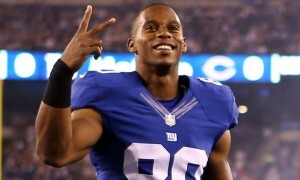 Victor Cruz owners may want to plan as if the wideout won't be available for week 1 at Dallas. - Eagles' TE Zach Ertz remains a doubt for week 1 after undergoing sports hernia surgery during the summer. The 24-year-old is expected to make a jump in his production as he enters his third year in Philly, but Brent Celek and Trey Burton will have to fill in while he sits out. It's possible that Ertz's status could come right down to the wire on game day, so owners will want to have a contingency plan in place. He would be a nice play against the Falcons on Monday evening, and the fact that the team has an extra 24 hours to prepare has to work in his favor, but at this point, his week 1 availability seems to be trending down somewhat. - Rams' rookie RB Todd Gurley has been ruled out for week 1 as the team plays it safe with its first-rounder. Additionally, St. Louis may be without fellow back Tre Mason, who is dealing with a hamstring problem. Gurley should be available before the Rams' week 6 Bye, and will likely be sprinkled into the mix before assuming a bigger role after the club's open date. He is no longer wearing his yellow no-contact shirt at practice, which has to be construed as a positive sign that his surgically-repaired knee is doing fine. If Mason can not go, Benny Cunningham will be in line for a massive week 1 workload against the Seahawks. However, neither he nor Mason, if available, would be highly-recommended starts against Seattle. - Chiefs' tight end Travis Kelce, who showed signs of his potential a season ago under Andy Reid's guidance, should be ready for week 1 after sitting out the team's final preseason game with a sprained ankle. Kelce returned to practice on Sunday, and should be cleared to play at Houston this weekend. - Jordan Reed and DeSean Jackson are both expected to be available for the Redskins' week 1 matchup with the Miami Dolphins on Sunday after both players have dealt with injuries throughout preseason. Jackson (shoulder) has been held out for precautionary reasons, though he returned to practice over a week ago. Reed (hamstring) made his preseason debut last month, and though he remains a high-risk in regards to his long injury history, he should also be ready to rock for week 1. Neither player is a highly-recommended option in Washington's sputtering attack, with Kirk Cousins set to start against Miami, though both could be cheeky plays down the line once they get a few games under their belts. Again, it's game week! 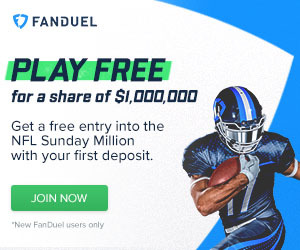 Good luck to all owners in week 1, and check back with us here at Fantasy Knuckleheads for any further updates as the games come thick and fast.